No - not a cocktail - an example of erythrism. Found by and photo taken by one of my sixth formers. It's done the rounds on FB, but I thought some non FBers on here might like it. That's really weird Jamanda. Thanks for putting it on here as I hadn't seen it on FB. Had to look up what erythrism was too, so instructive. Wow! That's different, I like it. Being that colour must cut down its chance or survival? Excellent pic. 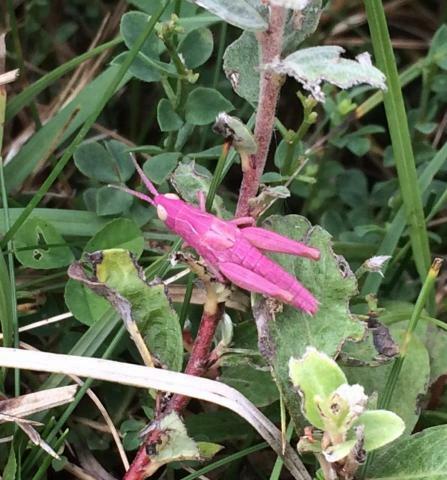 I've never seen one quite that pink - even when I was looking at grasshoppers in Ireland for pinkness. does this explain barbara cartland?